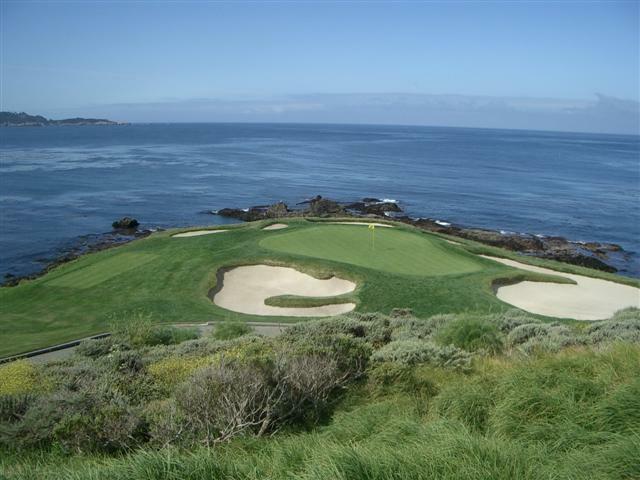 The 2016 First Tee Open golf tournament on the PGA Champions Tour is taking place this week from September 16-18, 2016, at the Pebble Beach Golf Links located on the Monterey Peninsula, California. Here is a list of the prize money up for grabs for the senior PGA golfers to win at the 2016 First Tee Open at Pebble Beach. The First Tee Open at Pebble Beach dates back to 2004. Jeff Sluman holds the record for most wins with three followed by Kirk Triplett with two. Three-time U.S. Open champion Hale Irwin won this senior event in 2005. Total prize money up for grabs at the 2016 First Tee Open is $2.0 million. The same amount of prize money that was up for grabs at this senior tournament last year. The winner of the 2016 First Tee Open at Pebble Beach will earn $300,000. The same amount of prize money that Esteban Toledo from Mexico earned when he won this senior golf tournament last year. Second place is worth $176,000 at the 2016 First Tee Open. That's the same amount of prize money Tom Watson earned when he finished alone in 2nd place in this tournament last year. Third place at the 2016 First Tee Open is worth $144,000. Vijay Singh, Colin Montgomerie and Woody Austin split $358,000 with each player earning $119,333.33 when they all tied for 3rd place here last year. After reading this article, I now understand why golfers always are in the top of the richest people) Yes, and tickets to their performances are very expensive, I was lucky that I found this site https://ticketcrab.com/golf-tickets and bought at a good price 2 tickets.